The Russian citizen’s Greek lawyer, Zoe Konstantopoulou, described the case as "unprecedented"
ATHENS, April 5. /TASS/. A court in Greece will resume hearings in the extradition case of Russian citizen Alexander Vinnik, arrested in Greece in July 2017,on April 11, the chief judge of the Piraeus city court announced on Friday. "The next session will take place on April 11," the judge said. The head of the Russian citizen’s defense team, Timofei Musatov, told reporters after the nearly seven-hour court session on Friday that the hearings "were quite successful, because for the first time ever we got an opportunity to duly present all information to the judges." "All the three extradition cases, [on requests] from the United States, Russia and France, were presented in a unified manner, so everything became clear to the judges. The judges listened with great attention, we will see the result later," he said. The Russian citizen’s Greek lawyer, Zoe Konstantopoulou, described the case as "unprecedented." 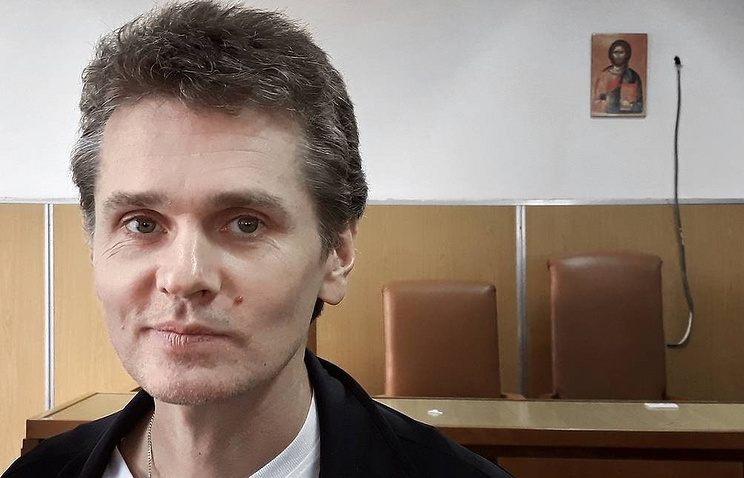 "The next hearing is scheduled for April 11, and during this session Alexander Vinnik will for the first time have a chance to speak out about his case and eventually express his demands after so many months of waiting. I really hope that the Greek justice system will cope with the challenge, because this case is truly unprecedented for Greece: a person, who is not suspected of committing any crimes on the Greek territory, against whom no charges were filed and on whom the court imposed no penalty, has been kept in custody for 20 months," she said. "Let’s hope that the principles of the rule of law and fair trial would eventually prevail in Vinnik’s case," she continued. The Greek lawyer added that Vinnik’s family - the wife, who is a cancer patient, and two small children - were also suffering due to uncertainty and delays in his case. "Alexander’s wife, who is worried about him, is literally at the point of death, Alexander himself is being kept in inhumane conditions, but we will fight for Alexander’s rights, for his release," Konstantopoulou said. Vinnik was detained in Greece on July 25, 2017, at the US request, where he is accused of laundering four to nine bln dollars through the now non-existent BTC-e cryptocurrency trading platform. The Russian Prosecutor General’s Office twice requested that Vinnik be extradited to Russia as Russian investigators believe that from January 1, 2016, to June 14, 2018 he was involved in extortion and money laundering in France as part of a criminal group. However, Vinnik has never been to France and has remained in custody in Greece since the summer of 2017. In October 2017, the Thessaloniki court ruled to extradite the Russian to the United States but his defense attorney filed an appeal against this decision. Later, the same court granted France’s request for Vinnik’s extradition. Since November 26, 2018 Vinnik has been on hunger strike against judicial outrage. He claims to be a political prisoner and demands the Greek authorities let him return to his home country. After almost three months of hunger strike, the Russian citizen suspended it and was transferred to hospital, where he is kept under medical supervision in police custody. Vinnik’s defense demands the Greek authorities release him form custody, because January 26, 2019 was the last day of the 18-month-long period a person can be held in custody without being officially charged.